Vacations are the dreamiest escape from our monotonous routines. Deciding the destination, booking the flight tickets and finalising the accommodation, it’s all interesting and exciting! And when we finally set our feet outside, it is the hope of living the whole life in a few days, forgetting all the other tensions. And then it comes about packing all the stuff… yeah, we all have been there, finding it difficult on what to take and what to leave! And that’s why, to reduce your woes, we bring across some perfect travel packing hacks so that next time you plan your vacations, it becomes the easiest tasks of all. First and foremost, create a packing checklist. It is supposed to vary according to the destination every time. For e.g. Sunglasses and umbrella for a beach, Scarfs and mufflers for a hill station. Keep on marking the things you have packed in your bag. Wear the heavy things like jacket or long boots on your way (and same while returning). It will save a lot of space in your bags as you would be carrying it on you without packing it in the bags. “Packing cubes” are a boon for travellers. They keep your clothes well organised and take up less space. Also, roll your clothes instead of folding them which prevents them from getting wrinkles. Think clearly which outfit you would be wearing on which day. This will prevent you from packing the unnecessary extra ones. 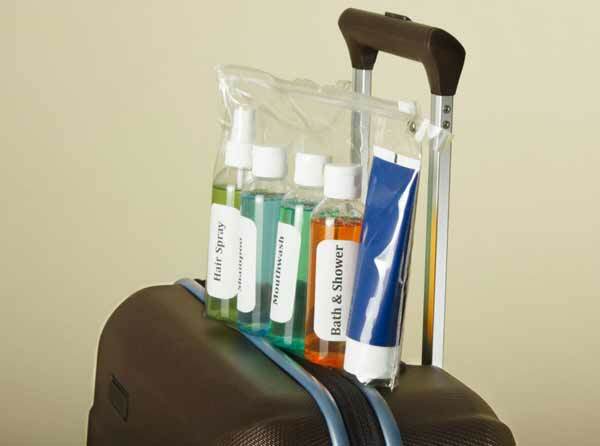 Shop for travel-sized toiletries and keep them in a separate bag. So that for your next travel venture, you just need to pick that bag up without the fear of missing anything out. 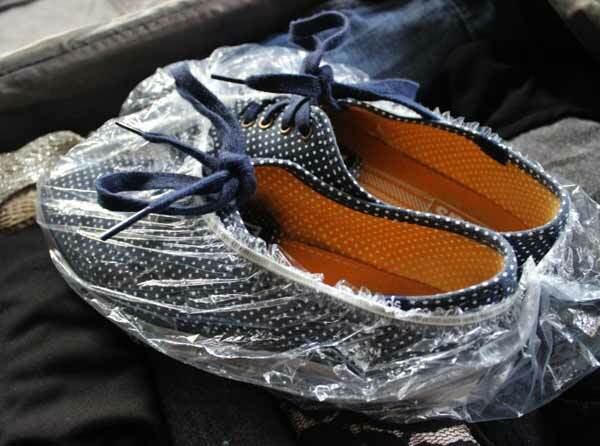 Pack your shoes inside cotton bags which come along while buying. If you don’t have one of those, take out some shower caps to pack shoes rather. This will keep your other stuff clean by keeping the shoe dirt away. 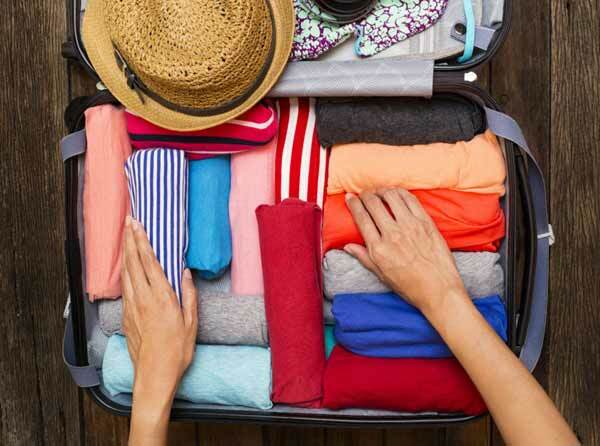 Stuff the heavier things on the bottom of the suitcase towards the wheels and pack the lighter stuff towards the top. It will ensure that nothing gets broken or messed up. Protect the perfume bottles and other breakable items by inserting them inside a pair of socks. This is considered as one of the best Travel hacks. To prevent leakage from tubes/bottles, insert a piece of plastic wrap inside the bottle caps. Put your earrings in the button holes to keep them together. 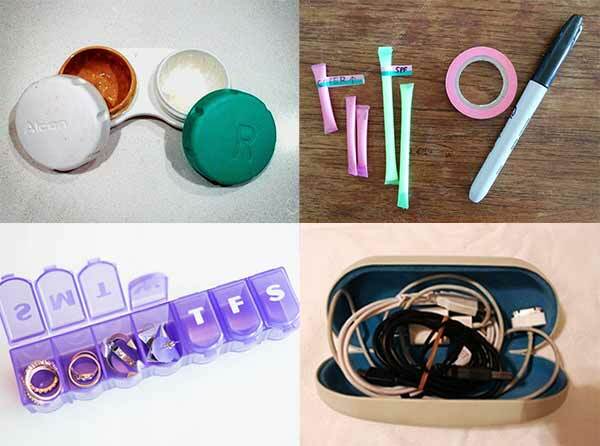 You can also use a pill box to keep them organised. Pack your charger and earphones separately in an old sunglass case and prevent them from getting entangled or being weary. Pack this in a pouch which you can put inside your handbag. Don’t forget to keep a disposable laundry bag. In case you have wet swimsuit or other dirty clothes, it can be a good option to keep those. Liked these? Plan your next vacation soon before the routine dullness grabs you again in its trap! Author bio: Isha Chopra is a full-time writer at LetUsGoTo. She regularly writes content for a variety of travel blogs and pens down her own travel experiences.